The WP high efficiency cyclone collector has a very high collection efficiency for many wood particles. 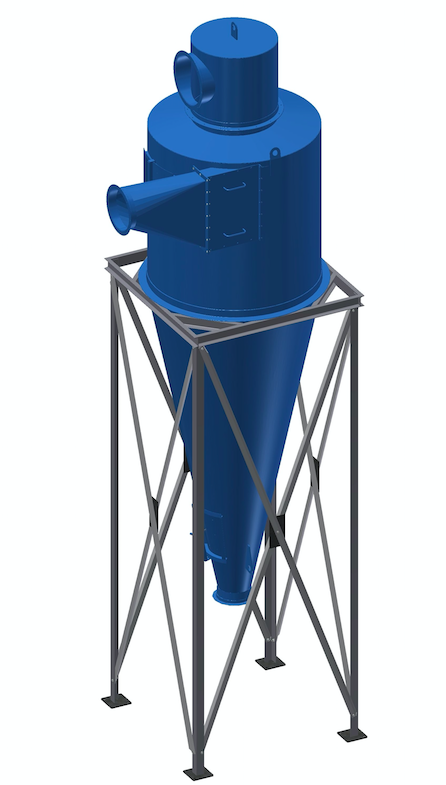 This cyclone separator is much taller in the body and cone sections than our standard dust collectors and is designed to be more than 95% efficient. If the material and air (CFM) flow is consistent and the size of the material is large enough, a secondary filter may not have to be used. The standard efficiency cyclone collector is normally used for handling large material volumes and would require secondary filtration. This dust collector design is approximately 90% efficient.